Happy Friday! I'm so ready for the weekend and I'm pretty excited that it's finally nearly here. Saturday's are usually pretty quiet for me but I've got lots of things on my to-do list that I'm looking forward to getting ticked off. Most of them are pretty fun things though so lets go weekend, I'm ready for you! Not all of my books are together, which makes me a little sad, but I'm slowly but surely gathering them all together and seeing this little bookshelf come together is really making me smile. It's not the most organised and my flower lights keep unsticking themselves but that's okay, it all adds to the charm, right?! These were a wonderful & very much appreciated gift from John Greed along with two other pieces (the prettiest necklace ever & a sweet bracelet!) that I'm going to be giving away next week, just as a little thank you to you for always being so supportive and lovely to me. I think these are so fun and they're dainty enough to be really comfortable and easy to wear, which are my favourite kind! I have a feeling these will be the only earrings I want to wear for a little while...! This is a book I had to read earlier this week for University and I fell in love with the story from the very first chapter. It turned into one of those books I couldn't put down and two hours later I was crying happy tears at the ending. Books aren't really written like this one is any more, I mean, nothing much really happens but that really adds to its charm without making it seem like a struggle to get through. Lovely, just lovely! So...I've had this for a little while now and I've still barely touched it because it's just TOO darn pretty. I know how ridiculous that sounds and I bought it to use it, but I just can't bring myself to ruin its prettiness just yet. I'm not a fan of the packaging but the colours are so lovely I don't even really mind that much! Do you have any exciting weekend plans? Your book shelf looks so pretty, and I'm certain to try out this book, it looks lovely! The bunny earrings are so cute! Such a lovely post. There's so much of stisfaction in ticking off the to-do-list. I love that your wand is on the Harry Potter books. Your bookcase looks amazing! I feel pretty sad that my books are in two different houses that are miles away of each other. But one day they're going to be back together. Those bunny earrings are adorable! Those earrings are the cutest! And I love your flower lights. I love your bookshelf! It's so colorful and attractive. Is that a wand I see there?! I really love the bunny earrings!! !=)they are soooo cute!! 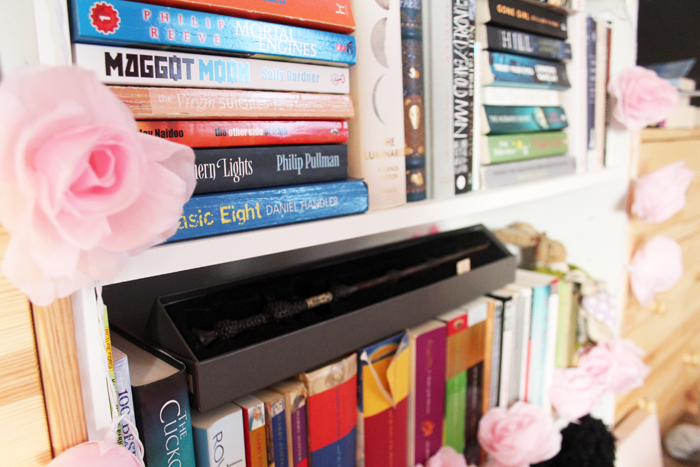 !<3 and I love your bookshelf!!! !Kisses and Have a nice weekend darling!!! Love posts like this :) Think I may have to add that book to my reading list. Great way to find out about new blogs as well! these earrings are so lovely ! it's a pity the international delivery is so expensive, i would have loved to get them. 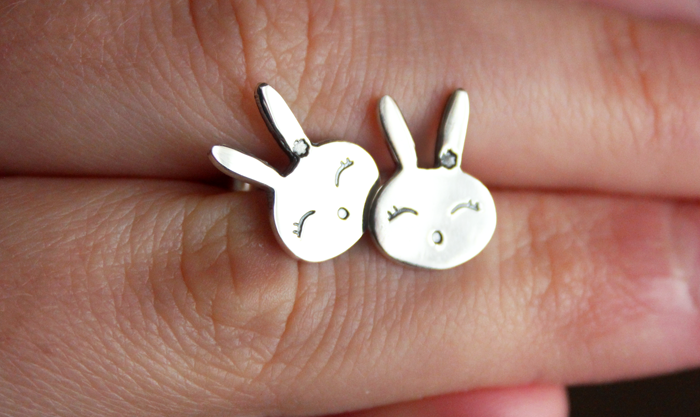 Aww those sweet bunny earrings are beauties- I love their adorable little eyes! Lovely pictures! I love those bunny earrings! :) You have such good music taste! I always leave your posts repeating the songs you post haha! 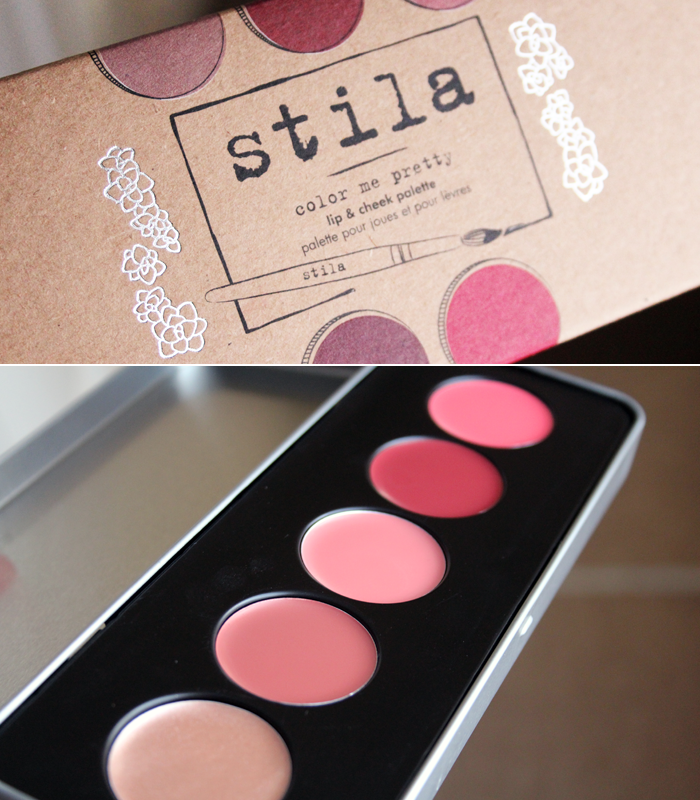 I can completely understand not wanting to ruin the Stila Colour Me Pretty Palette - it's so pretty and pink and perfect! so glad when I find new songs to listen to! thanks! :d and I love the bookcase and the bunny earrings! Definitely entering that giveaway! The earrings are gorgeous! hey sweetie, i've nominated you for a sunshine award as one of my favorite blogs! go over to my blog to see the rules! Awww the bunnies are so cute! I love those :) I don't know why but I don't wear earrings anymore all of my friends assume I don't have my ears peirced. I love your Five Things...always so inspiring! I lost count of how many times I played that Sam Smith song last week! Thank you for sharing! 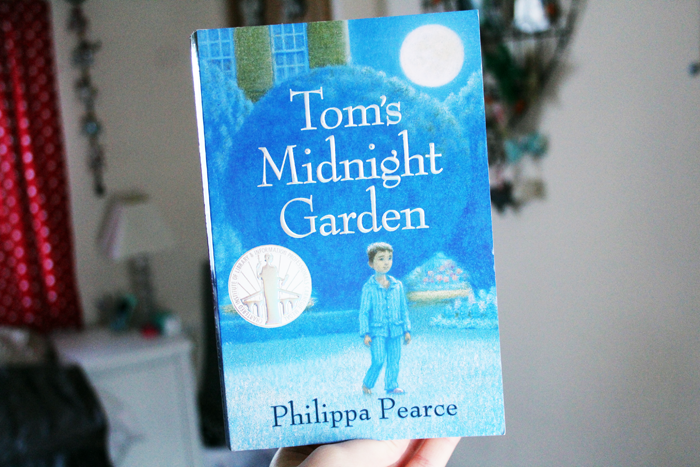 Definitely adding Tom's Midnight Garden to my never ending TBR list. I'm a sucker for a happy tears book. And thank you so much for the lovely link to my blog! It means so much that you would think to share it with others! I love those bunny earrings - so cute!! Oh my goodness, those earrings are adorable! They remind me of Miffy the cartoon! Hope you had a fab weekend! January 2014 Non Beauty Favourites. January 2014 GlossyBox: Back To Basics. Sharing The Love - Six Wonderful Blogs! Yesterday Evening via Instax Pictures. Love Me Beauty Box: January 2014 Edition.